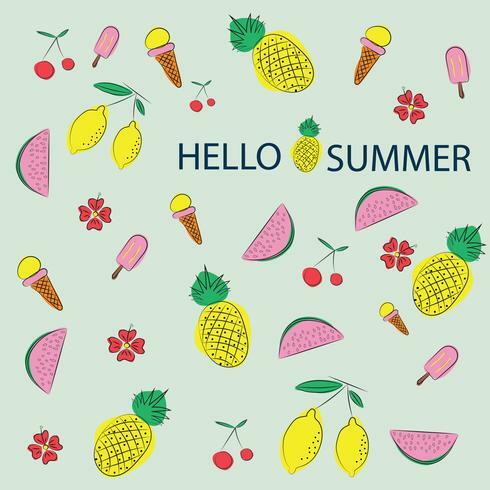 Vector summer pattern background with fruits and floral elements in Memphis style. Summer Beach Party Flyer Design with sunglasses on ocean landscape background. Vector Hello Summer Beach Party Flyer illustration with tropical plants and flowers.